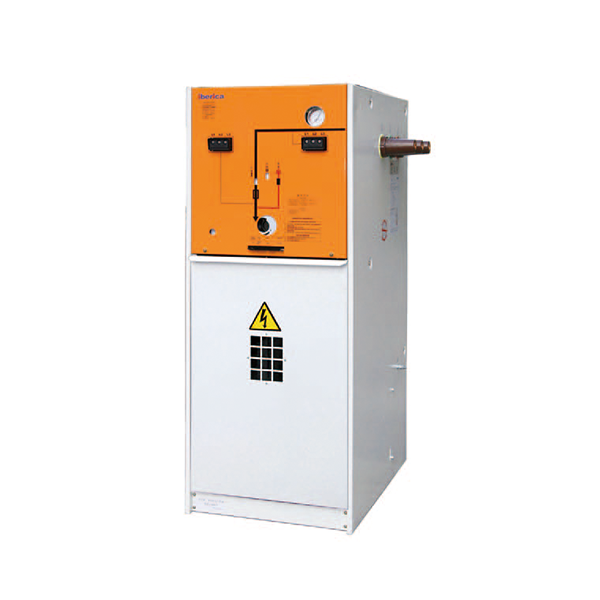 This combined unit is used for transformer protection of the capacity below 1250KVA, its with an insulation sleeve. It can be further improved the insulation performance when put the insulation sleeve into the SF6 gas tank. Ensuring the safety of the fuse and power supplies when the earthing switch is closed and fuse is grounded, also ensuring personal security when replacing the fuse. In order to ensure the equipment no lack of phase operation once the fuse broke down, the unit is equipped with tripping linkage mechanism. It means the fuse is blown and tripped when the tripping inspection window shows red. And the unit can be combined with other units to achieve ring network power supply.